It will be starting operations with two models -- the One and the Mile. The One costs Rs 32,999 while the Mile costs Rs 29,999. Both vehicles get a lithium-ion battery pack. British electric-bike brand, GoZero Mobility, has begun its Indian operations today as the company set shop in Kolkata. It has started its India stint with two models -- the One and the Mile -- both of which are relatively no fuss e-bikes. Priced at Rs 32,999 and Rs 29,999 respectively, both e-bikes went on sale today and those based in Kolkata can get their e-bikes delivered today itself. Currently, online booking has begun but GoZero plans to have 18 experience centres, as well as over 1,000 retailers and an online sales network to sell its products. The One being the premium a offering gets a 400Wh battery pack which gives it a claimed range of 60km while the Mile is 100Wh lower on energy and thus can only go 45km on a full charge. The two e-bikes go up against the likes of the Tronx One and the Hero e-Zephyr. The GoZero products sit between the Tronx and the Hero products when it comes to value, but they are far superior when it comes to the kit they offer. New Delhi,15th April 2019 : GoZero Mobility- British Electric Bike makers, which manufactures premium electric performance bikes and signature lifestyle merchandise having its operations base in Kolkata today announced its pan India expansion. It has outlined 3-pronged expansion approach - 18 experience centres, 80 channel partners targeting 1000+ retailers and online sales to expand its retail network in the next couple of years. According to Ankit Kumar, Chief Executive Officer, GoZero Mobility, “E-bikes industry has a huge potential in India with the Government emphasising on electric mobility. Also, the people here are becoming more health conscious and opting for electric bikes. We have taken our own time to understand the market and devise the best offerings for our consumers and channel partners. We wish to give them the best in the industry. We have received an overwhelming response throughout the country with over 350 applicants for channel partnership & franchise network experience centres." By 2021, GoZero Mobility plans to have 18 experience centres across the country. These centres will be franchise owned and franchise operated. The experience centres will have retail centre for electric bikes, merchandise and accessories, after sales desk and test drive enabled. For any online orders from the respective area, these centres would also act as fulfillment centres. In the next couple of years, GoZero Mobility is planning to have 80 channel partners. Primarily, these channel partners would be distributors who will be tapping the market through their retail network of 1000 + retailers. Recently, GoZero Mobility has launched two of its flagship products “One” and “Mile” performance e-bikes in New Delhi. GoZero One priced at Rs. 32,999, powered with 400Wh lithium EnerDrive battery pack which is optimized to provide 60 Kms of range on single charge. GoZero Mile priced at Rs. 29,999 is powered with 300Wh lithium EnerDrive battery pack which provides 45 kms range. Both are specialized performance e-bikes providing optimum stability and comfort and come with multi-modes of operation giving users freedom to choose the way of riding. 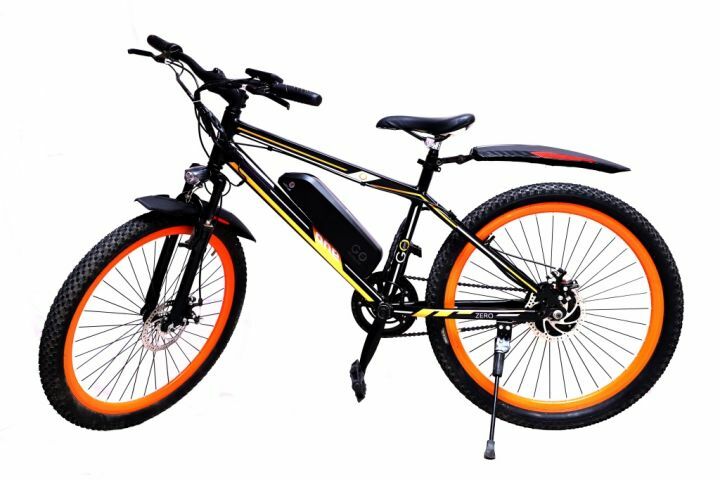 Both the e-bikes come with lockable battery pack which makes it very convenient to charge & carry.